Job costing is the accounting function that tracks revenues and costs by job. Why is this important? It allows you to analyze actual job performance compared to your estimate. This means you have actual results to better compare job revenue and cost data to help estimate future jobs more accurately…. 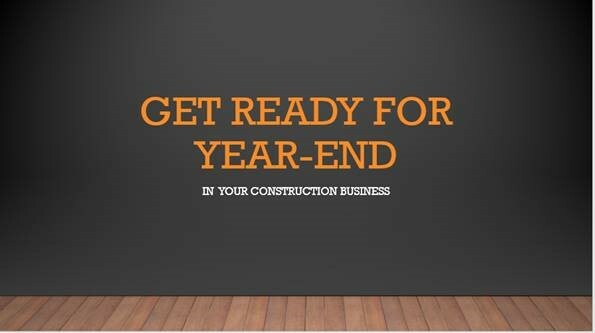 Check out our recent video on Year-End and Tax Planning for Your Construction Business. Download our free checklist here. Our advisory services can help you navigate the complexities of transitioning, growing, or starting a business. Accounting is often one of the last things business owners want to focus on. Construction accounting is more complex than most industries and requires industry specific knowledge to provide you with accurate information. We work with your existing accounting staff to help them understand construction accounting (job costing, job schedules, cash flow, and bookkeeping). Let Atlas help train your people to focus on the back office so you can focus on growing your business. The Atlas team has assembled a variety of online, educational videos to help you with accounting practices, procedures, and policies. Through these tutorial videos, you can easily follow and implement within your accounting software.